Will your divorce settle out of court? Hopefully the answer to that question is yes. If there are minor children involved in the case it is usually in the best interests of children for the divorce to settle quickly and amicably. This is because as hard as divorcing couples may try they cannot completely shield their kids from the stress of the divorce process. Whether the kids; accidentally overhear you on the phone with a friend, overhear you and your spouse arguing, or the other parent inappropriately discusses the litigation with the kids the strain will reach the kids and working together to peacefully resolve the issues in the divorce case can save the children from such unneeded pressure. 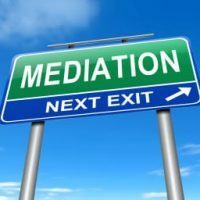 While every state is different I can say that every contested divorce filed in Orlando FL Is required to go to what is called mediation in the hopes that the parties will reach a settlement before they go to any type of adversarial trial with a divorce judge. The fact that divorce attorneys are required to try to settle their cases before they can go to court is, in my humble opinion, just about the best idea since sliced bread. This is because the parties to the divorce action have a chance to work together on a settlement before the lawers go to battle which often ends in the divorcing people despising each other for years after. Typically the time frame from the date of filing of the divorce until the day of mediation will be approximately six months if the discovery process has been done properly by the divorce lawyers. This may be longer if there are substantial assets, serious allegations, or domestic violence injunctions in the case. This period of time from date of filing to mediation is the window of time during the divorce when attorneys can do some very important strategic work to maximize the chances of settlement. This can be done through strategically written motions, discovery demands, and/or written correspondence in an effort to provide the opposing side with maximum incentive to want to settle the case at mediation in a fair and reasonable way.  It is extremely important that a divorce case not be set for mediation prematurely as attorneys need to ensure that adequate discovery has been done so that all assets, incomes, and support figures are examined in advance of mediation this is because without advance verification of these items the case is simply not ready to settle. In fact, many divorce cases have been forced to expensive trials when they could have settled but for a lack of good preparation for the mediation. If you have a divorce case pending and want to speak to a divorce attorney about your chances of reaching a settlement then call Sean Smallwood, P.A. today at 407-574-6155 and ask about our available payment plans.